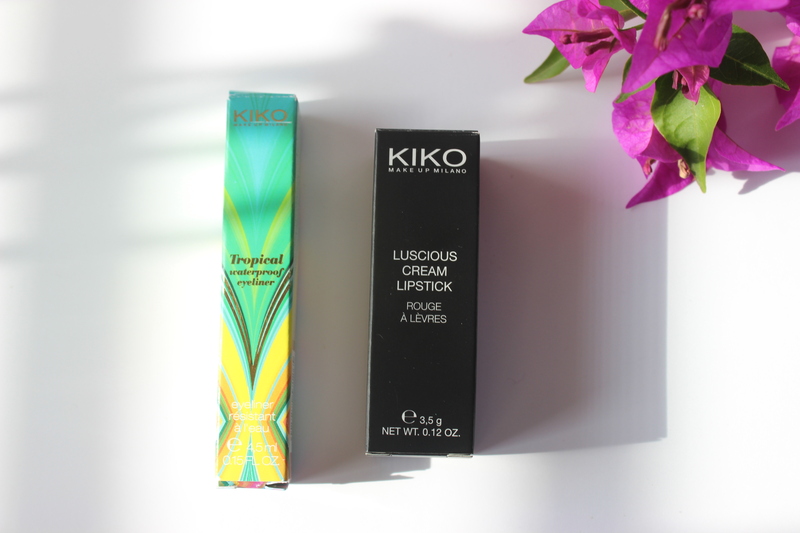 I recently stopped by Kiko and could not resist going home with two new little treasures. 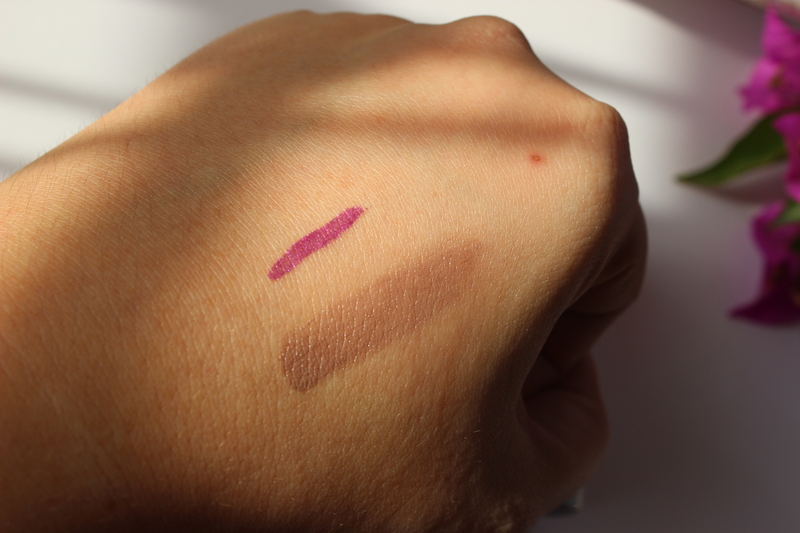 On one hand I got my hands on the beautiful Luscious Cream Lipstick in 524 Taupe (6.90€ for 3.5g). This is a step outside my comfort zone as I have been staying away from anything brownish. Everytime I saw this lipstick at the store I wondered how one could pull it off without looking clownish or like the walking dead. Well after seeing the fantastic Linda Halberg pull of plenty of cooled browns and taupes recently, I thought why not? 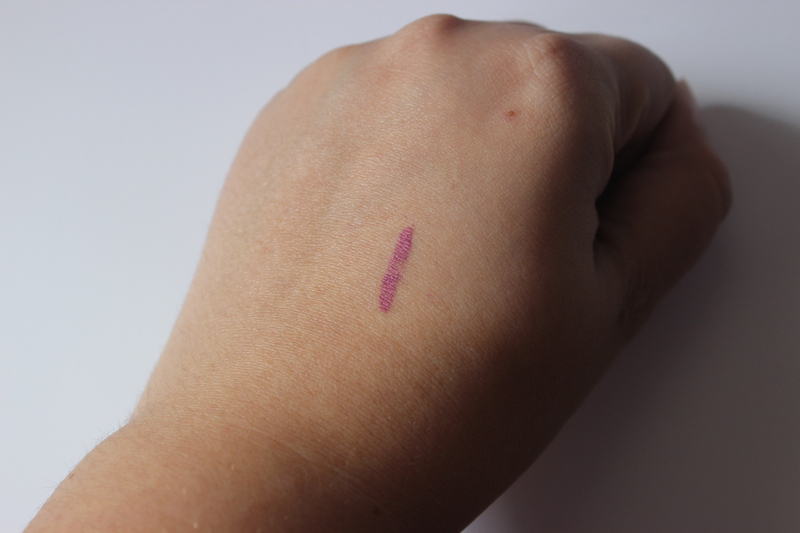 The lipstick is creamy with some kind of translucent or luminous quality that makes it more wearable than I thought. All in all, I am quite happy with this purchase! On the other hand, I checked the on sale items and came home with a Tropical Waterproof Eyeliner from their Life in Rio collection released earlier this year. I already owned the shades 01 Golden Topaz, 03 River Turquoise and 04 Sugarloaf Blue, so when I saw 05 Piranha Purple in the discount area I knew I had to grab it. Originaly they retailed for 6.9€ for 4.5mL, and I have lost the receipt of the discounted one, so I am not sure how much I paid for it (4.9€ perhaps?). Also, this is quite an unusual eyeliner shade, so I am really looking forward to using it and seeing what I come up with! 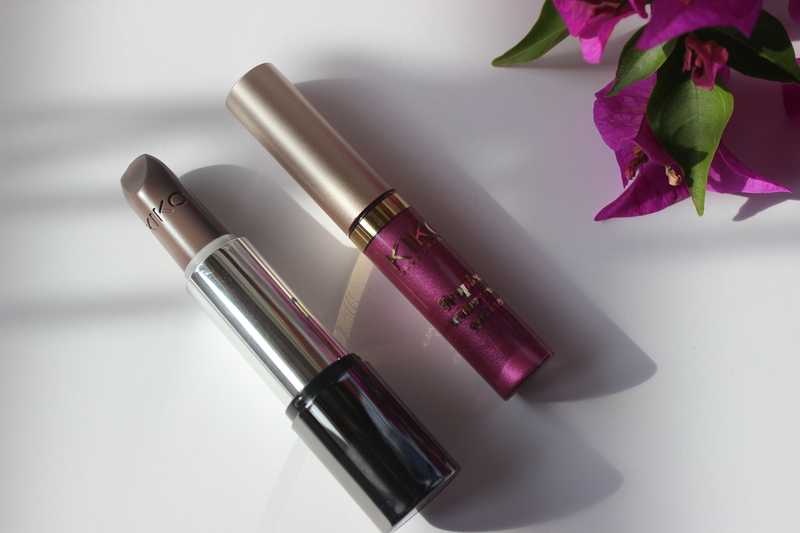 The formula of these eyeliners is excellent as they are truly waterproof. They go on smoothly and they retain their slightly metallic finish once dry. They are very long lasting as you can see from the picture above, taken 24 hours after the original swatch and having survived even a shower. I haven’t tried their permanent Definition Waterproof Eyeliner (only available in black, 6.9€), but if it is anything like these coloured ones I will definitely switch from my MAC Liquidlast Liner (20€ for 2.5mL) to that! So, do you fancy coloured eyeliner?